Connie's World Adventure! 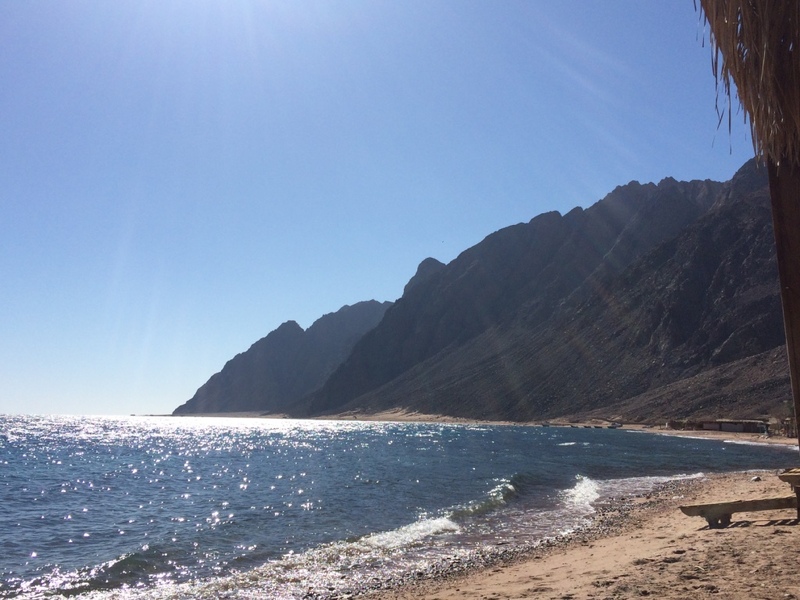 : Dahab, Egypt: The Red Sea is Gorgeous! I vaguely remember swearing after a 16-hour bus ride in Vietnam that I would never do it again. Apparently I lied. 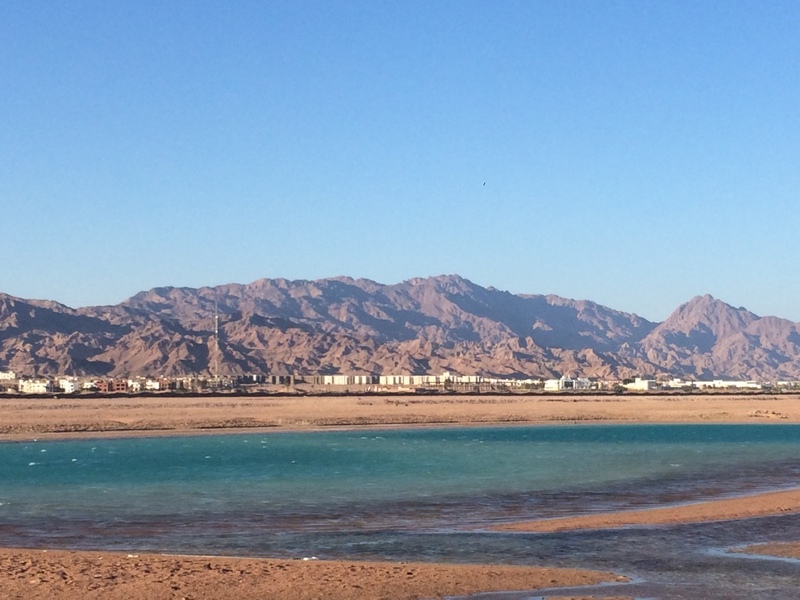 I really wanted to head up to one of the beach cities in Egypt that sit on the Red Sea - did y'all know that the Egypt has insanely awesome/gorgeous/desert beaches?? 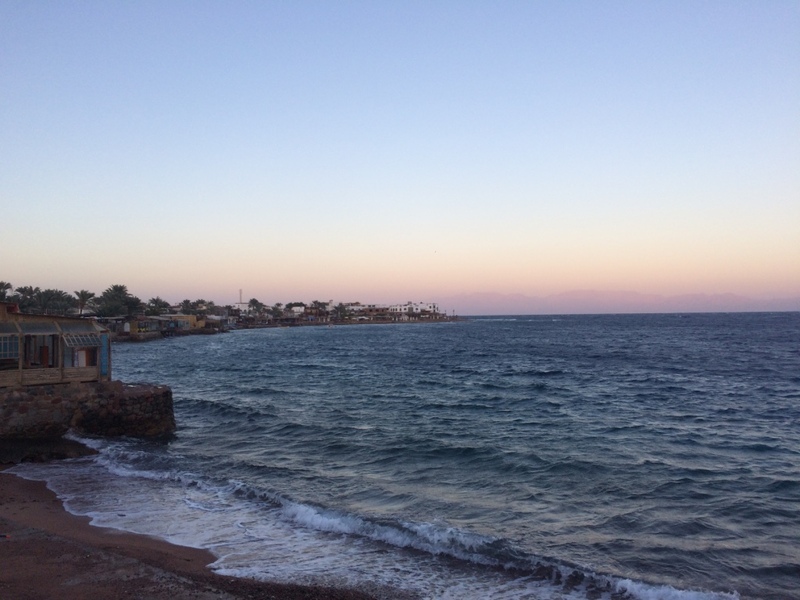 The city I'd heard the most about was called Dahab - and that is how I found myself on another 16-hour overnight bus journey from Luxor to Dahab. 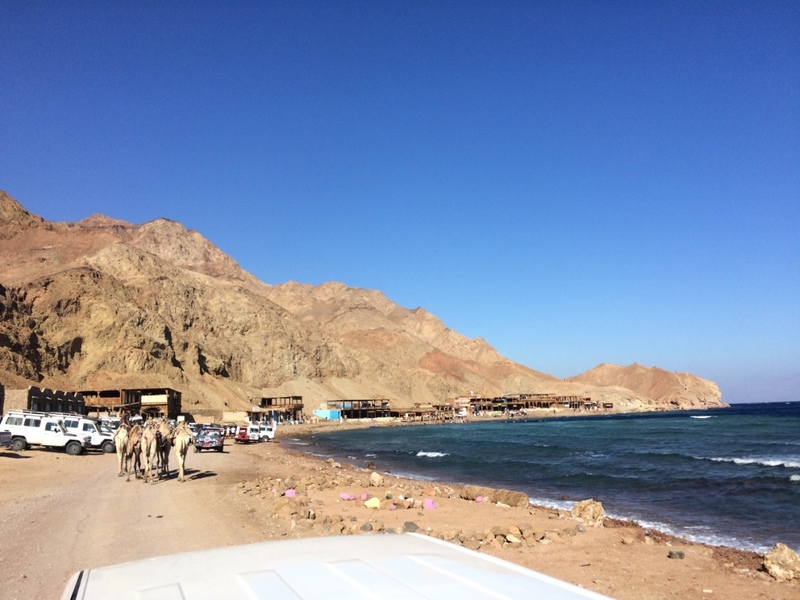 Dahab is a city on the eastern coast of the Sinai Peninsula in Egypt - it borders the Red Sea, and is right across the water (West) from Saudi Arabia. There's tons of beach towns on the Red Sea, but Dahab is one of the most popular ones for backpackers - it's got an incredibly chilled, laid-back vibe, some of the best diving in the world (there's a spot called the Blue Hole that is unparalleled), affordability, and hundreds of cozy cafes, restaurants, and lounges right on the waterfront. 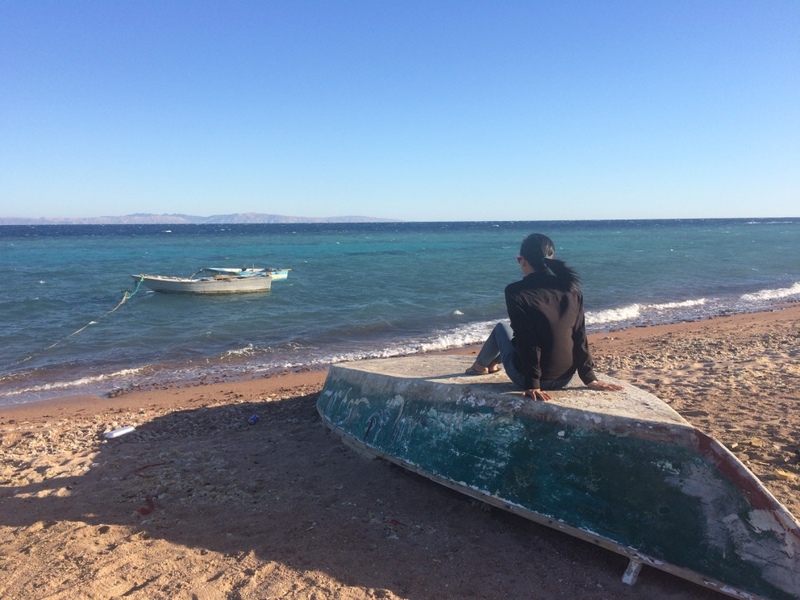 I've heard tons of stories already from travelers who came to Dahab for a little bit, and ended up extending their stay far, far beyond what they'd initially planned to. You can easily while away your days here getting up, having breakfast lounging on comfy cushion seating overlooking the water, diving, having a shisha and socializing with other travelers, and falling asleep to the sound of waves crashing. Can this be my life. Sadly enough, Dahab was very, very empty when I arrived. Egypt's coastal cities have been especially hurt by the drop in tourism, especially since you know that Russian plane that had a bomb aboard last month? That plane departed from Sharm El Sheikh, the main airport feeding the coastal cities (and an hour away from Dahab) - it was a deliberate attempt by terrorists to hurt tourism in Egypt. 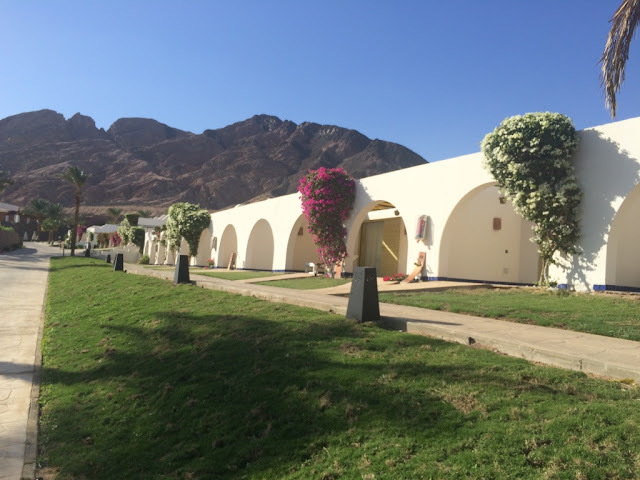 Because of this, Dahab is like a ghost town - you see half-finished resort construction literally everywhere, and all the hotels and restaurants are completely empty. Business owners stand on the promenade and ask you to come in. And most restaurants/hotels are more than willing to negotiate prices and give you a % off. It makes me so sad. Ok, the night bus to Dahab was slightly sketchy - not only was I the only foreigner aboard, but I was also the only female aboard. The rows were super minuscule (I could barely squeeze my legs into the row, and I'm short - so not sure how everyone else was faring). Also, as a sort of constructive criticism, I'm fairly certain the journey doesn't need to take 16 hours - because we seriously stopped every hour or so for a cafe/shisha/tea break!! So Egyptian. Seriously, it would be midnight, the bus would pull into some incredibly random dark town, and stop - then everyone on board would scramble off to the one cafe was open, drink a bunch of tea, puff away on a bunch of shisha, then the bus driver would honk the horn 10 minute later and everyone would scramble back on board the bus. Given that I am a huge proponent of efficiency, I was slowly dying inside. 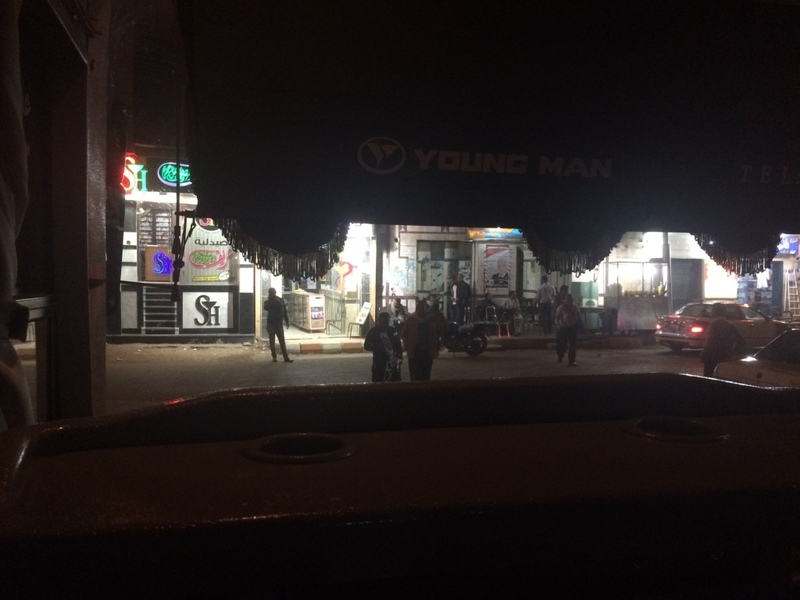 I was in the front row of the bus, so I took this incredibly creepy photo of a dark city, the one cafe open, and all the men from the bus scrambling back to get on after a tea/shisha stop. 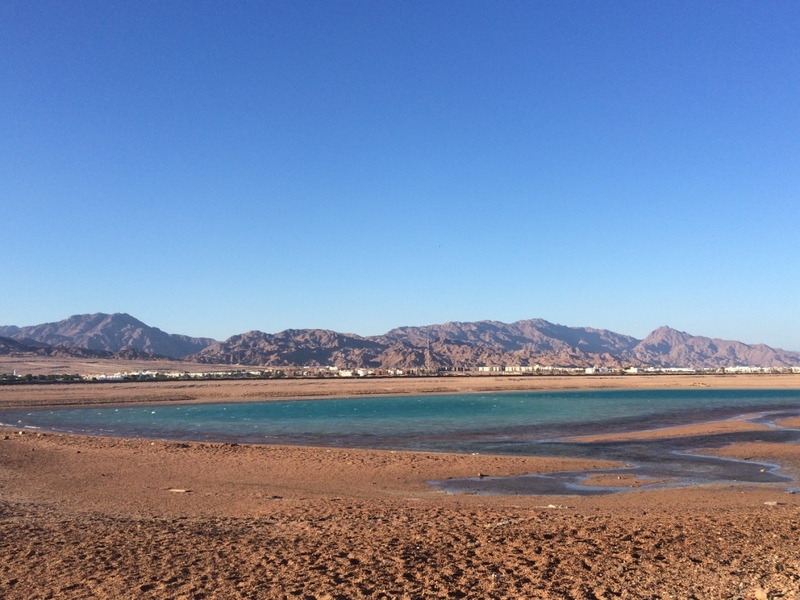 Upon arrival in Dahab, I checked into my hostel, took an incredibly long, leisurely seaside breakfast. 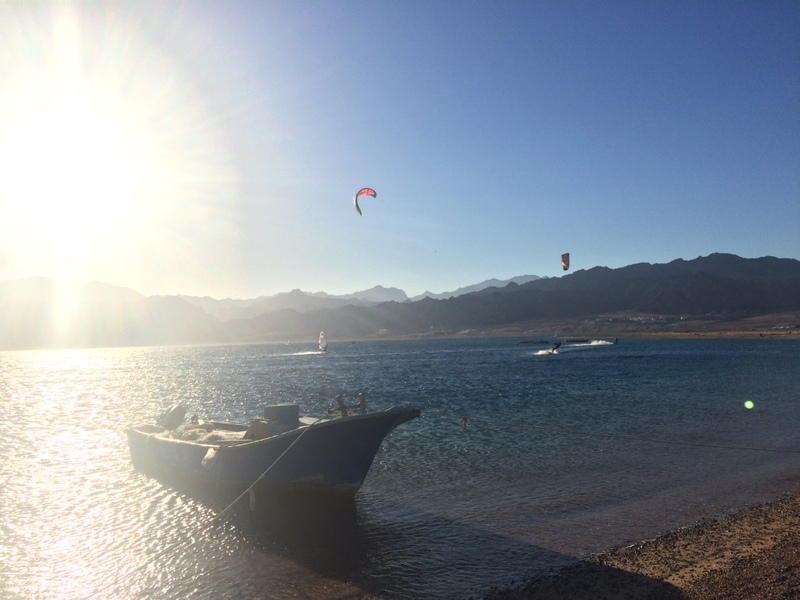 One of the greatest parts about Dahab? There's stray cats everywhere!! They stalk all the cafe and lounge-y areas by the water for food. 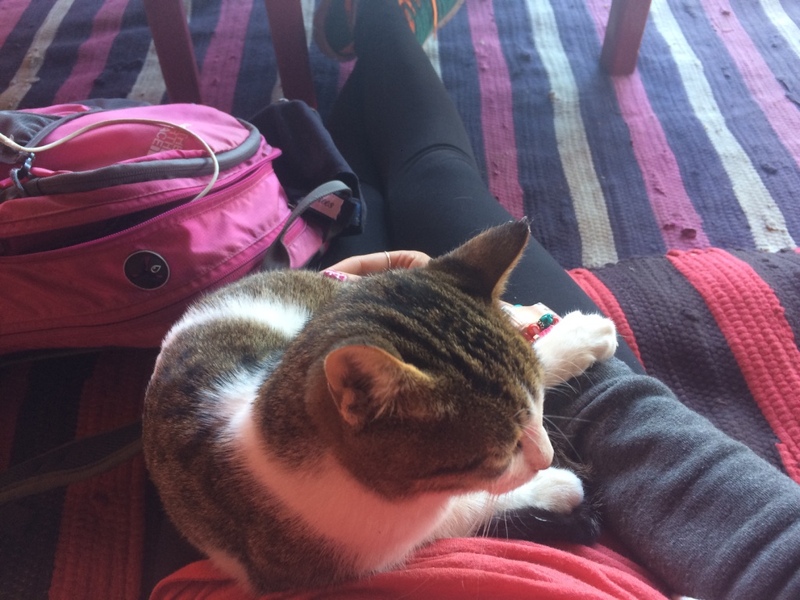 Seriously, these cats have it down to an art - they come up to you, act all adorable and purr-y, make themselves comfy on your lap and rub all over you, and then when the food comes - you feel obligated to give them some. This was my first cat. He was the CUTEST and made himself at home on my lap immediately. After my extended breakfast, I went about inquiring at some dive shops - and met Zully. 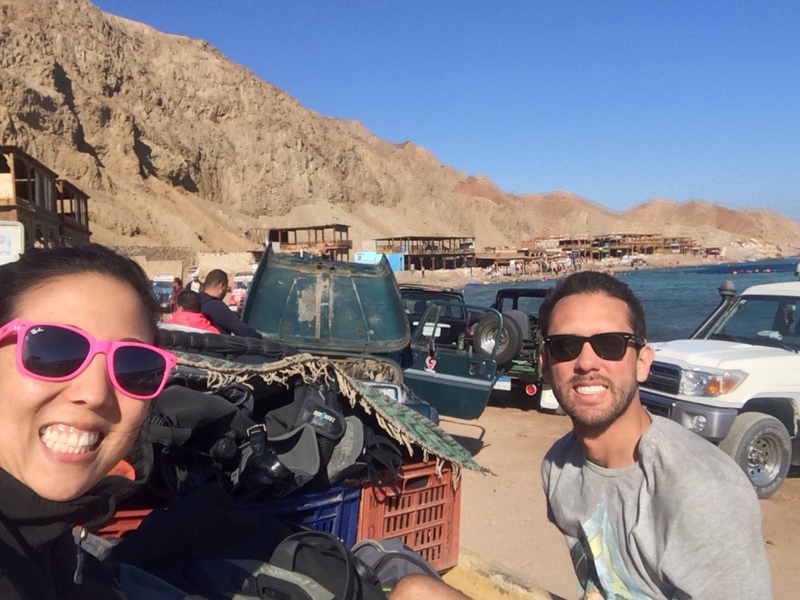 Zully is originally from California, had backpacked through Dahab awhile ago, fell in love with it, and moved out here. She's been living out here for a couple months, just taking a hiatus from life. Zully and I hit it off immediately, and she was super nice to take me on a walk down to the lagoon (where she was headed anyhow), introduce me to her friends, show me her house, and take me to an amazing dinner spot. This is Zully, and she is great. The lagoon was gorgeous, and the winds make it popular with kitesurfers. Kitesurfing, by the way, looks like the most intense sport ever. Before dinner, I'd met a couple guys in my hostel (Jonathan, Seb, Dan, and Jesse) - who I invited along to dinner with Zully. 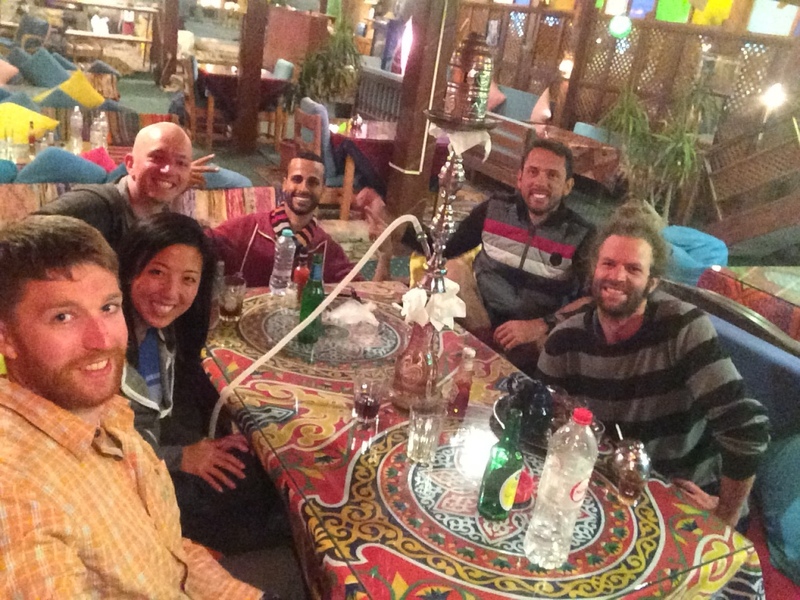 After a delicious dinner, we ran into two guys I'd met in my hostel in Cairo walking down the street - so they joined up as well, and our entourage went to a seaside cafe to have some beers and smoke some shisha. L to R: Kristian (New Zealand), Jonathan (Brazil), Zully, me, Seb (Australia), Dan (Canada), Jesse (Australia), and Jesse #2 (Australia). 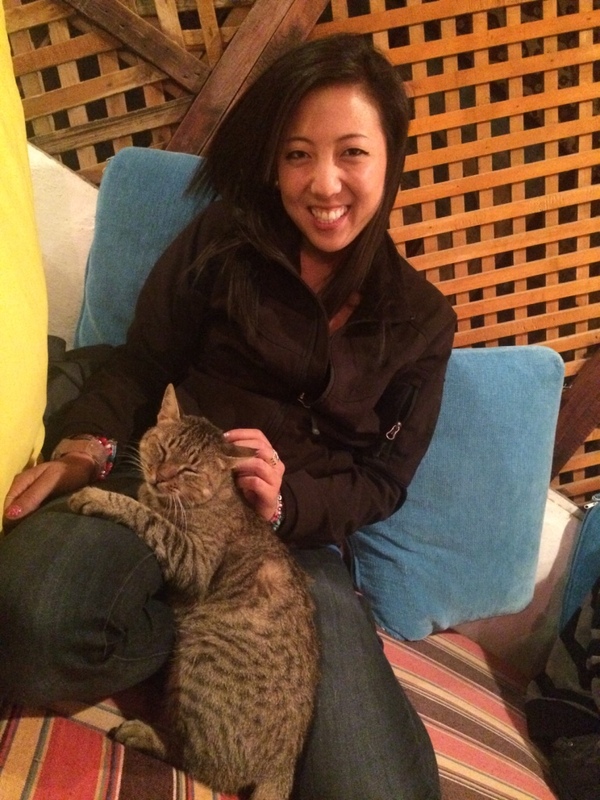 This was my dinner cat that came and cozied up on my lap - I named him Sir Mix-a-Lot and he was the CUTEST. The next day, I went diving with three of the guys from my hostel - Jonathan, Dan, and Jesse. 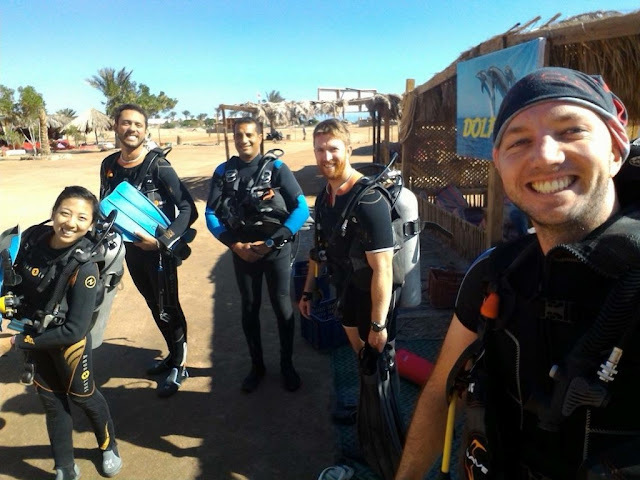 Dahab has a dive site called the Blue Hole, which is one of only three in the entire world. It's the coolest thing ever - it's basically a hole that drops straight down into the sea, and it goes super deep and there's millions of fish. There was seriously an entire wall we dove along that had hundreds and hundreds of fish swimming all around us. The most fun one was a fish that cleans your teeth if you open your mouth. We also brought down juice boxes and attempted to drink them underwater for fun. Also, when you swim to the middle of the Blue Hole, it's the trippiest thing ever - you have zero idea which was is up or down, and everything is just blue. Our first dive site - I forgot the name but it was pretty standard. The views, however - AMAZE. 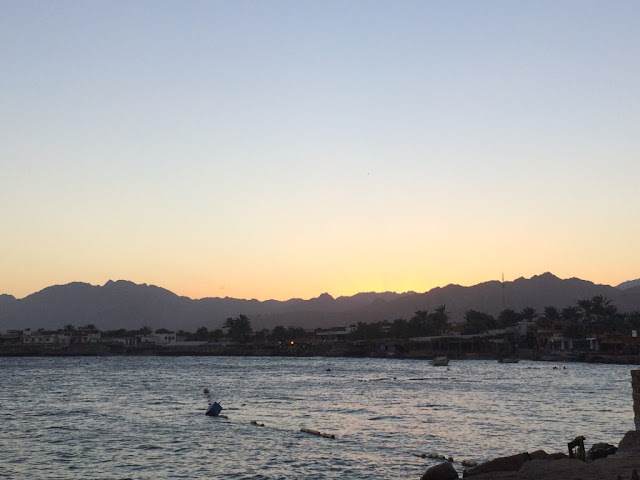 Post-diving, Jonathan and I went to go watch the sunset over Dahab at a strip called the Lighthouse. It was amazing - we chilled in loungers on the water overlooking the cove, drank tea, and watched the sun sink below the mountains. 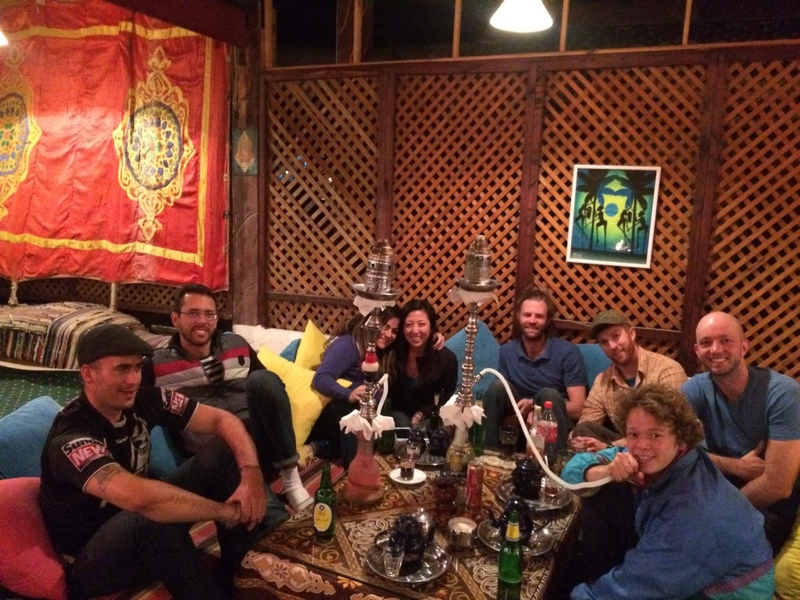 We met up again with the crew from the hostel for a delicious seafood dinner. They gave us all this free stuff and 30% off the entire menu to lure us in. 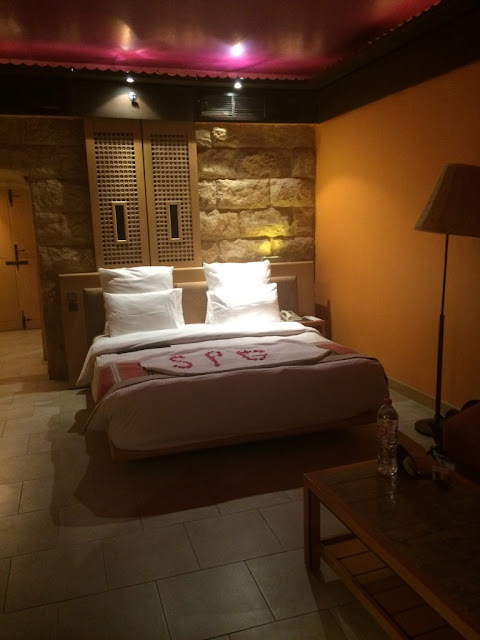 That night, my sister had booked me a room at the super-fancy Le Meridien in Dahab, as a way to use some of her Starwood points and as a small post-birthday treat. The guys came over to Le Meridien with some beer and cards to hang out - first off, you should have seen the hotel people eyeing us as we walked in. There were a million security checks, metal detectors, the lobby man demanded ID's from everyone. 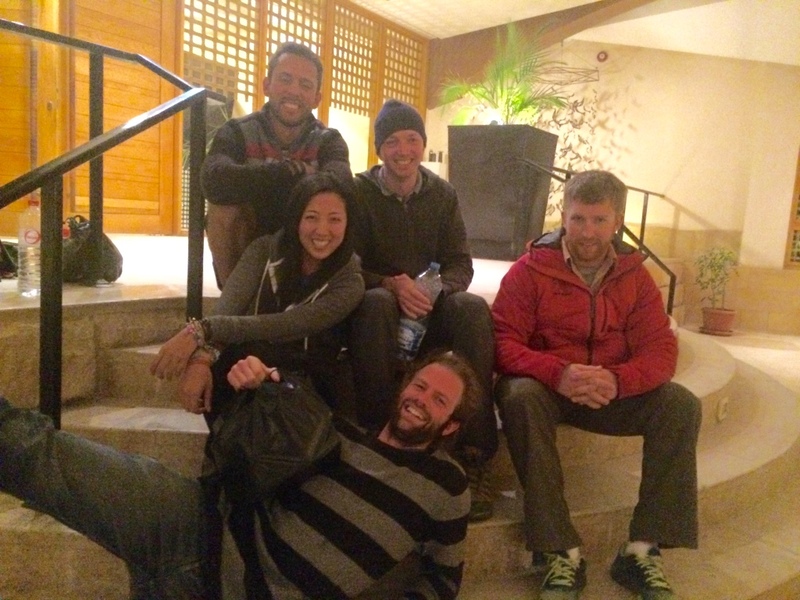 Then they refused to let us go to my room (not sure if this is a security issue or a Muslim issue) so we ended up hanging in the lobby like homeless people. Again, where do I start? There was a kind man on my 16-hour bus who kept feeding me fruit, like I was a monkey. He produced a banana, and when I thanked him and ate it, he handed me an apple. And then an orange. Or as I was walking along the waterfront in Luxor, a gardener ran up to me yelling, and I thought he was yelling at me until he produced a flower that he just cut as a gift for me. This entire country makes my heart melt. I guess the best and most representative moment happened as I was leaving the airport (and Egypt forever, wahhhhhhhhhhh) - I was at the gate waiting for my flight to board, and out of the corner of my eye, I could see two local Egyptian girls giggling and staring at me - they couldn't have been more than 8 or 9 years old. When my flight started boarding, I went up and waited in line, and then felt a tapping on my arm. Looking down, I see the two girls have followed me across the terminal, and both smiled at me and shyly went, "Nice to meet you" and shook my hand in that way only 9-year old girls can. Melt. I responded "Nice to meet you!" and smiled. They were ELATED. They ran across the terminal to their parents and pointed a lot at me while grinning ear to ear. As I turned back to board my flight, I felt another tapping on my arm. Looking around again, the girls were back - one of them clasped my hand tightly, and the other one pulled me down for a hug and kissed me on the cheek. MELT. As I walked out onto the tarmac, I could see their faces pressed against the window, grinning and waving maniacally to me. You guys. Could this departure from Egypt could be any more representative of my time spent here??? No one is more surprised than I am about how much I loved traveling Egypt. 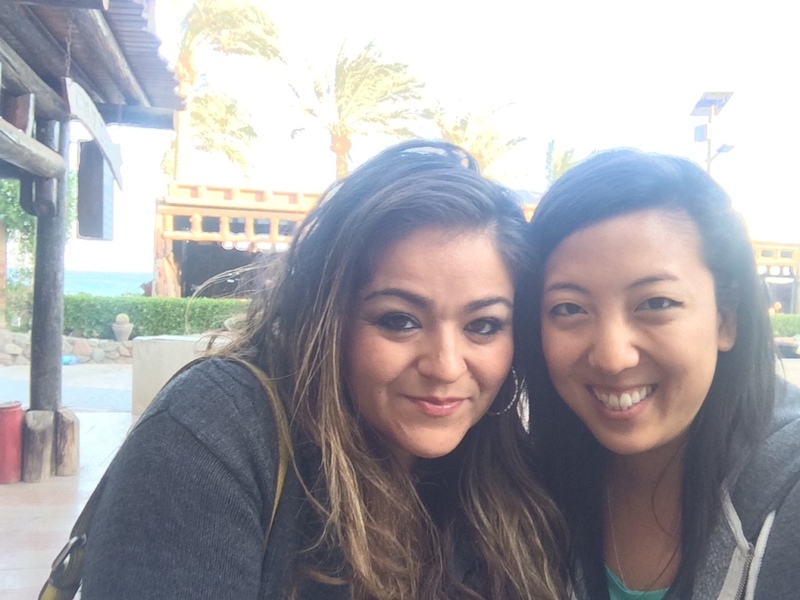 From initially being wary about staying at all, I was shocked at how wrong I was about it. Not only do the people have the biggest hearts and have been the absolute best, but the depth of history and culture and sites is mind-blowing. I have truly grown to love this country and its people, and I am now going to sing its praises to everyone I know. Two weeks truly flew by, and I could have easily spent another two weeks here. Egypt has easily become one of my favorite adventures and memories of all time thus far - I was beyond crushed to leave. GO TO EGYPT. IT WILL CHANGE YOUR LIFE. 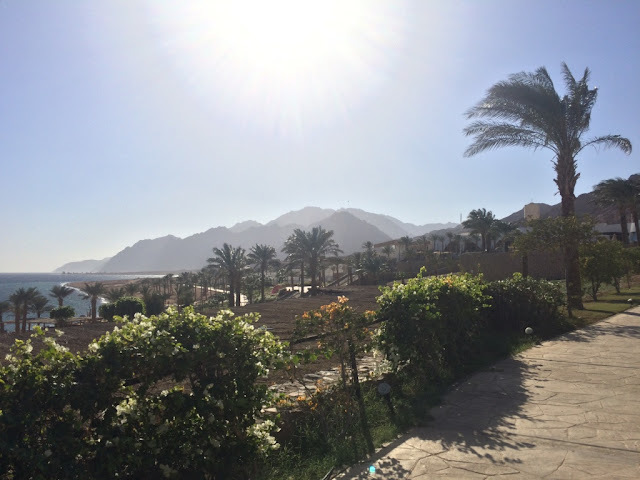 I might dedicate a whole other post to Egypt and how great it is - but for now, onto sub-Saharan Africa! They were amazing!!! Though the boys I've talked to who've traveled through Egypt didn't love it nearly as much as I did......but I will take it!